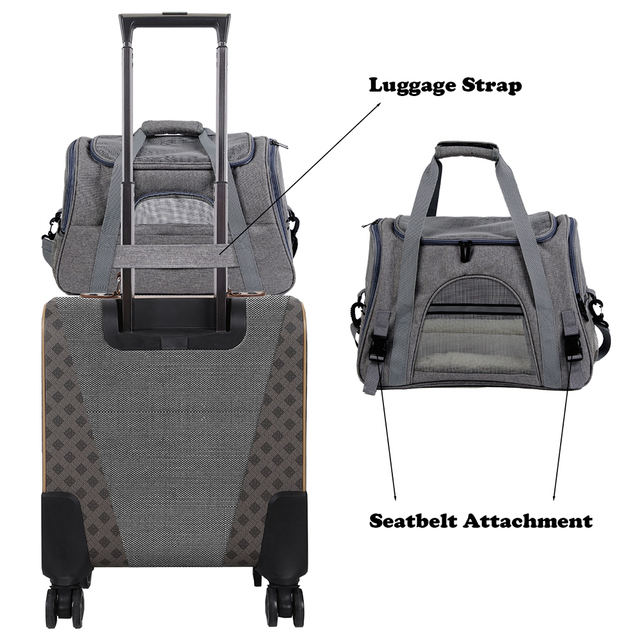 AIRLINE APPROVED PET CARRIER- ACCEPTED as a SOUTHWEST Airlines Pet Carrier, AMERICAN Airlines Pet Carrier, JETBLUE Pet Carrier, DELTA Pet Carrier Plus VIRGIN, ALASKA, FRONTIER, ALLEGIANT, UNITED & MORE. Carrier measures 17.5″L x 10″W x 11″H. 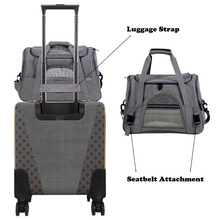 DESIGNED with a Ventilated Top to meet all airline regulations of under forward seat. 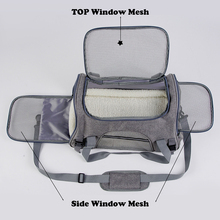 ULTRA-SAFE, EXTRA DURABLE- UPGRADED to REINFORCED Polyester & CLAW-DEFENSE MESH on top & 4 sides ensures your pet has ample VENTILATION and AIRFLOW & it WON’T TEAR like flimsy, cheap carriers while MINI ZIPPER BUCKLES ensure your pet stays tucked safely inside. 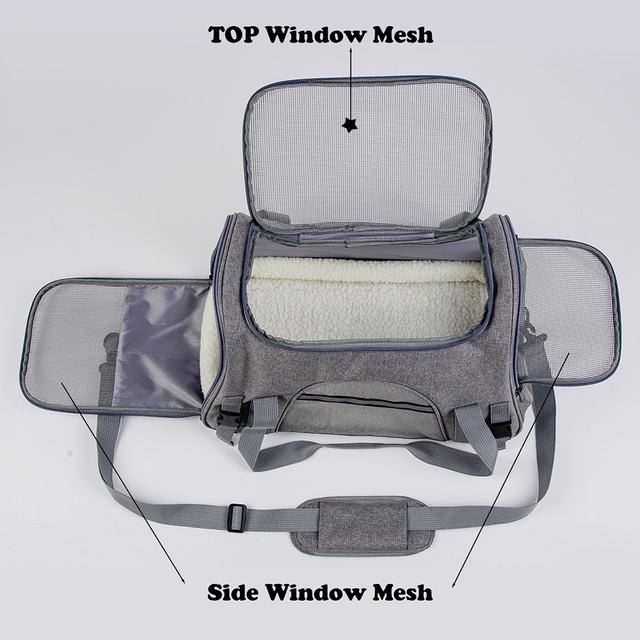 EASY ACCESS & VENTILATED: Mesh windows on top and all 4 sides provide optimal airflow. Some have zippers to quickly reach your pet to comfort, touch, or take in or out. STRONG & WATERPROOF – Weighing in at only 2.3 lbs, Designed with Breathable Mesh on all Sides for Proper Ventilation * Removable Fleece Travel Bed * Padded Shoulder Strap * Storage Compartment for Treats or Meds, Seatbelt Compatible. 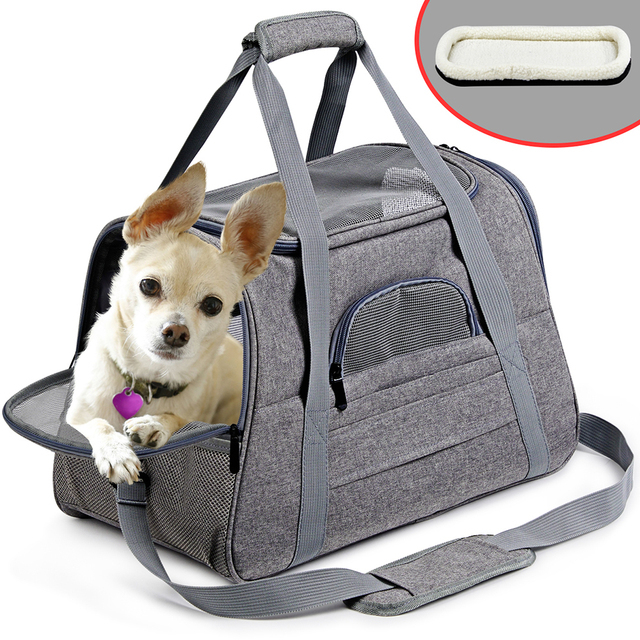 PLEASE NOTE INTERIOR SIZING & PET MEASURING GUIDELINES BEFORE PURCHASE – Fits Pets up to 14″Lx10″H and up to 14lbs. PLEASE KEEP IN MIND that we show the exterior dimensions as well as approximate interior dimensions to best portray the usable interior space for your pet. The interior space will be less than exterior due to the fabric thickness and plush faux fleece padding. I have a 17 year old Maltese. This is perfect for her when we take her to the groomer and her vet's office. It is well mad and looks good. I like the shoulder stripe. Most of the carriers I had before didn't have it. But sometimes it helps, very convient. 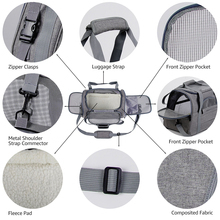 I was really pleased when I opened the package and delighted with the quality of this carrier. Those picture took at the first time I got it. Used it for the first time a couple of days ago to take my kitty to the vet, and getting him in through the top was easy and stress free. The size is good for my 14 pound cat. He seemed quite comfortable and calm and had room to turn around. Even my vet was impressed with it! Very nice! 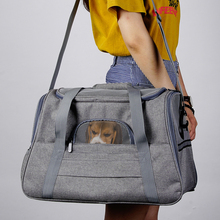 Very beautiful bag, comfortable. There is a small smell like all new things, but i think it will fade quickly Thank you very much to the store, Problems are solved quickly and in favor of the buyer! 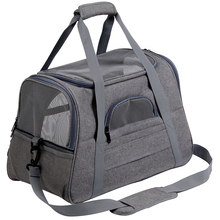 I have a very small, seven-pound cat, and for the past nine years I've been using a carrier far too big for her. This one is perfect. She has enough room to stand up, turn around, and lie down easily. And because her weight is balanced in it, it's much easier for me to carry. An extra treat for me is that because there's a lot of light that gets in it, I can a actually see my black cat.